We’d love your help. Let us know what’s wrong with this preview of Finton Moon by Gerard Collins. Finton Moon is an unusual child who feels like an alien. A gentle soul growing up in the rough town of Darwin, Newfoundland, he lives with his strict Catholic mother and grandmother, lawless father and three older brothers. While his grandmother has him 'right ready for the seminary,' Finton's interest lies in books, nature and solitude. He is secretly in love with the una Finton Moon is an unusual child who feels like an alien. A gentle soul growing up in the rough town of Darwin, Newfoundland, he lives with his strict Catholic mother and grandmother, lawless father and three older brothers. While his grandmother has him 'right ready for the seminary,' Finton's interest lies in books, nature and solitude. He is secretly in love with the unattainable Mary Connelly, while eschewing the attention of the equally misfit Alicia Dredge, who adores him from afar. In Finton's life, there are monsters everywhere, including Bridie Battenhatch, the crone next door who harbours secrets about the Moon family she will share in exchange for the boy's company, while all his heroes come from books and TV. To ask other readers questions about Finton Moon, please sign up. 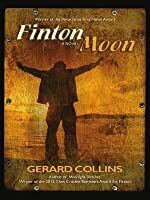 Finton Moon is the name of the main character, in a book of the same name by Newfoundland author, Gerard Collins. Finton Moon is an unusual child, a gentle soul growing up in the rough town of Darwin, Newfoundland. He is extraordinary in that he has been born with the ability to heal with his hands. As he grows older, his miraculous talent becomes more apparent and useful, even as it isolates him further from those around him. While Finton Moon wants nothing more than to belong, he lives in a wo Finton Moon is the name of the main character, in a book of the same name by Newfoundland author, Gerard Collins. 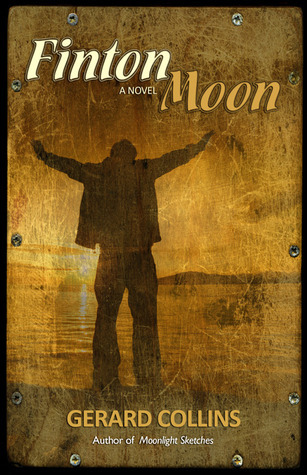 Finton Moon is an unusual child, a gentle soul growing up in the rough town of Darwin, Newfoundland. He is extraordinary in that he has been born with the ability to heal with his hands. As he grows older, his miraculous talent becomes more apparent and useful, even as it isolates him further from those around him. While Finton Moon wants nothing more than to belong, he lives in a world that sees him as other, and his greatest fear is that he will be trapped forever with these people who both misunderstand and abuse him. I met Gerard Collins when he visited the local library as part of an Atlantic Canada promotional tour for his book, and that is why I decided to read the book. Collins is both amicable and approachable and very relaxed in front of an audience. He grabs the reader in the first page, and you’re immediately hooked. The setting is vividly drawn and concrete, there’s no mistaking it. The characters he places in it are everyman, universal people dealing with the everyday. I think anyone growing up in Atlantic Canada will see at least a bit of themselves in his characters. At a couple of points in the story I was stunned by either a turn of events or the utterances of a character, and I thought how absolutely focused and original Collins is, and what an impact a consummate writer wields. “Finton Moon” is a book you will want to devour in one setting. Pick it up and read the first couple of pages... you’ll be hooked. As with his story collection, Moonlight Sketches, I like Collins's writing best when it's at its darkest, when it's Gothic, mysterious. There are some truly captivating (and mildly shocking) moments in Finton Moon, and for these alone I recommend the novel. For those who like a lighter touch and a guiding hand, you'll find that here too. Do the two mix well? Well, that's not an easy thing to balance and the less guiding hand the better, I feel. But I found the book engaging and quite deft at avo As with his story collection, Moonlight Sketches, I like Collins's writing best when it's at its darkest, when it's Gothic, mysterious. There are some truly captivating (and mildly shocking) moments in Finton Moon, and for these alone I recommend the novel. For those who like a lighter touch and a guiding hand, you'll find that here too. Do the two mix well? Well, that's not an easy thing to balance and the less guiding hand the better, I feel. But I found the book engaging and quite deft at avoiding (just like Moonlight Sketches) the pratfalls of what can be seen as cliche, Atlantic Canadian territory: the Outport, the poverty, booze and small mindedness, and so on. Overall an enjoyable work that I only wish had taken a few more risks. Looking forward to Collins's next work. A beautiful story written by a fantastic author. I really enjoyed this book. There was a low level WTFness about Finton throughout most of the book, and I always expected things to escalate, but that constant wonder really pushes you through the pages. I was a little concerned about an unhappy ending when nearing the end, by the time you make it there, you really want the best for Finton. It was nice reading a book about Newfoundland, however tongue in cheek, or however stereotypically they have been presented. The characters are alternately l I really enjoyed this book. There was a low level WTFness about Finton throughout most of the book, and I always expected things to escalate, but that constant wonder really pushes you through the pages. This is a wonderful story by a talented author. I highly recommend it.